Bishop Carlos Duarte Costa was consecrated as the Roman Catholic Diocesan Bishop of Botucatu, Brazil, on December 8, 1924; functioning as such uneventfully until certain concerns he expressed (collaboration with Nazi War criminal in World War II, the inequitable distribution of wealth in the country, and the terrible treatment of the Brazil's poor by both the civil government and the local Roman Catholic Church) caused his removal from the Diocese. In the 1930's Bishop Costa was the most outspoken Brazilian bishop in defending the poor. In 1937, at the insistence of the dictatorial Vargas regime in Brazil, the Vatican forced Bishop Costa to retire as Bishop of Botucatu and he was appointed as Titular Bishop of Maura. Nonetheless, he continued in speaking out on behalf of the poor and in 1944 was even imprisoned for several months. But his resolve did not falter. Finally in 1945 after the Vatican assisted several Nazis and Nazi sympathizers in finding safe passage and refuge in Brazil (Eichmann and Mengele), Bishop Carlos broke with Rome and went on to found the “Igreja Catolica Apostolica Brasilia” (ICAB)—spawning a movement of Catholic Apostolic National Churches around the world. Bishop Carlos Duarte Costa fell asleep in the Lord on March 26, 1967, after over forty-two years of service to the people as their bishop. He is revered by the Brazilian Church and her daughter churches around the world as “St. Carlos of Brazil”. The Brazilian Church suffered much persecution at the hands of hostile governments, and unfortunately even fellow Christians. Many of the early deacons, priests, and bishops are today speaking out; giving their accounts of arrest, imprisonment and even torture. The grey cassocks and soutanes worn by our clergy, a result of that early persecution, are now worn as a symbol of honor in faithfulness and steadfastness—modern day confessions of faith. The Catholic Apostolic National Church of Brazil has helped millions of people worldwide by establishing educational and social programs designed to feed, clothe, house, and educate those in need. The CANC of Brazil recently celebrated its 60th anniversary, in concert with its daughter churches throughout the world, represented by their bishops under the fraternal and loving care of DOM Luis Fernando Castillo Mendez, Patriarch of the Worldwide Communion of Catholic Apostolic National Churches. The dedication, courage, and love of service to Christ through service to His people are the foundations of our family and still today we remain a Church of the common people. Bishop Stephen Corradi-Scarella was consecrated Bishop in 1949, by (now Patriarch) Dom Fernando Castillo Mendez and Carlos Duarte Costa. He was given the mission to build an Exarchate of ICAB in the United States, and began his missionary work in Albuquerque, New Mexico. There he established the first Diocese in America of what later would develop into the Western Orthodox Church in America (WOCA). 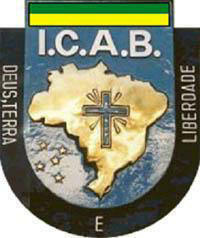 During the 1960’s communication with the Mother Church in Brazil broke down, and the American Diocese became essentially autonomous and no longer attached to the mission of ICAB. It is important to note that WOCA later ceased to enjoy the Patriarch's blessing when it was apparent that it could no longer be considered canonically Catholic. Bishop Stephen guaranteed the continued viability of the work by consecrating additional bishops for the United States before retiring from the active ministry in December, 1974. Bishop Stephen reposed in Christ in 1979, but his mission continued in a variety of smaller independent jurisdictions. In 2005 Patriarch Luis named Bishop Andre Queen, SAC, of Chicago, as his Apostolic Delegate to the United States and charged him with the mission of reuniting these children of the Church with their common identity. Many have rejoined their brothers and sisters under their mother church of Brazil, and again the ministry if Bishop Stephen bears fruit. Notably the WOCA has joyfully been received back into the communion, thereby honoring and continuing Dom Carlos's mission of 1949. In August of 2005, in recognition of this Church’s unity of faith, familial lines of succession, and as a result of full communion with the Igreja Catolica Apostolica Brasilia (ICAB), the church changed its name to the “Catholic Apostolic National Church”. This comes after well over a year of much dialogue and inquiry between the two bodies. In July 2005 the Church was represented at the 3rd International Council of Igrejas Católicas Apostólicas Nacionais in Brasilia, Brazil, where the ratification of communion by the International Council of Bishops, with the approval of the Patriarch, DOM Luis Fernando Castillo Mendez, took place. The Catholic Apostolic National Church is the only officially recognized and full member of the communion of Catholic Apostolic National Churches (ICAN) in the United States today. By developing new methods and ideas with an emphasis on community and Catholicism our communities are able to address the needs of today's society in the beginning years of the Twenty-First Century. The Catholic Apostolic National Church is an understanding of the Western and Eastern traditions in one complete tradition. For the contemporary Catholic searching to maintain his/her Faith but desiring to do so without excessive institutionalism that often loses contact with the individual; for those with a Catholic background who feel impeded from full participation in the life and Sacraments of the Church; for the many unchurched who desire the joy and peace of Our Lord's Word and His Holy Sacraments; our communities provide a viable opportunity and allow a person to be a part of Christ's Church. Our communities can give attention to the individual spiritual needs of the faithful and, where necessary, develop unique ministries to meet those needs. Luis Fernando Castillo Mendez was the fourth Bishop that Dom Carlos Duarte Costa consecrated was Bishop (in the Balboa Republic of Panama on May 3, 1948) receiving the title of Patriarch of Caracas and Primate of Venezuela for having founded the Venezuelan Catholic Apostolic National Church. In June of 1950 Dom Luis Fernando Castillo Mendez was persecuted and pursued by the government of Venezuela, by order of the Roman Catholic Church. By the grace of God he escaped to Brazil, where he was nominated by Dom Carlos Duarte Costa to be the Diocesan Bishop of Brasilia, and later acquired Brazilian citizenship. Upon the death of the Patriarch, Dom Carlos, he became the Patriarch of Brazil and the Brazilian Catholic Apostolic Church. Dom Luis Fernando Castillo Mendez of Brazil, 2nd Patriarch of the National Catholic Apostolic Churches (Igreja Catolica Apostolica Nacionais) was consecrated by, and succeeded the late Bishop Duarte Costa as Primate in 1961. DOM Luis Castillo Mendez is still leading the worldwide federation of the National Catholic Apostolic Churches founded by the late Bishop Carlos Duarte Costa. These national churches are now estimated to have a combined worldwide membership which exceeds four million members. According to the ancient practice of the early Church and among many Orthodox Christian bishops, such catholic apostolic churches exist in their countries, functioning as autonomous, co-operating Churches, subscribing to the same core theological values.